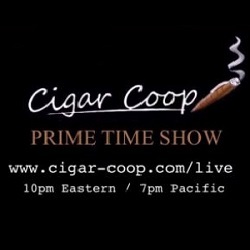 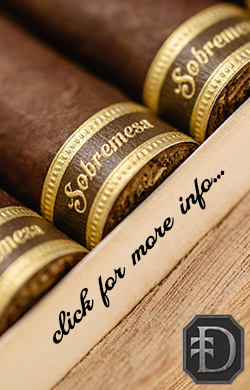 Friday, January 25, 2019- Boynton Beach, Florida – Smoke Inn has collaborated with MoyaRuiz Cigars to introduce the 13th installment of their popular Microblend ™ Series. 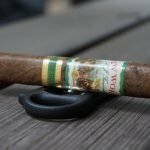 For this unique collaboration Smoke Inn asked MoyaRuiz Cigars for something extremely creative and unique. 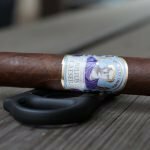 Some of their popular limited releases have been off the wall and even controversial , who better to ask! Their answer was simple The Hand Gripper! 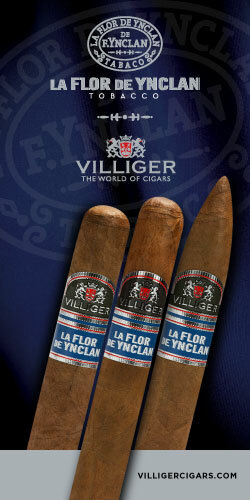 Two cigars connected together in order to resemble an actual pair of forearm flexing hand grippers. 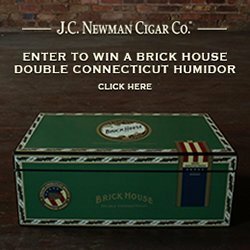 Size of the cigar will be a 5 x 52 robusto featuring an Ecuadorian Habano oscuro wrapper with a binder and fillers from Nicaragua. 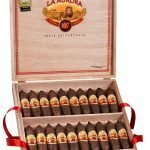 Only 300 numbered boxes were produced in the La Zona factory in Esteli, Nicaragua containing 12 cigars or (6 pairs of hand grippers) at an MSRP of $99.00 per box. 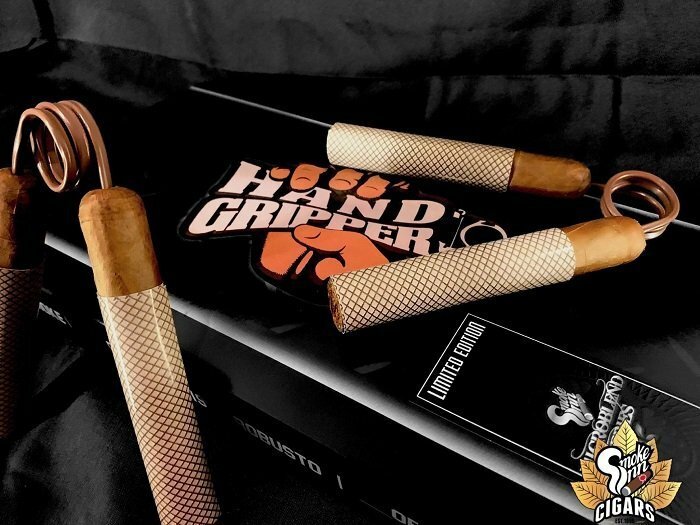 The Hand Gripper will be released at Smoke Inn’s annual mega cigar event, The Great Smoke, February 16th, which will be held at the South Florida Fairgrounds in West Palm Beach, FL . 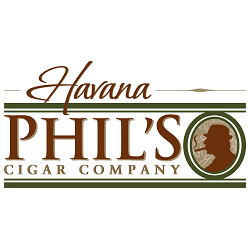 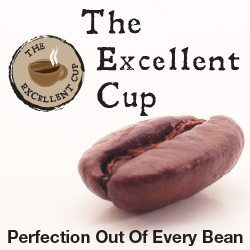 Remaining boxes after the event will be available to the general public through their retail stores on February 18th and will be available online, www.smokeinn.com at Noon EST.